Dec. 9, 2011 — Negotiations between the City of Golden, Arvada, Jefferson County, the Jefferson Public Parkway Highway Authority, Broomfield, and the Colorado Department of Transportation (CDOT) have resulted in the terms of a proposed agreement that will be considered by the Golden City Council at a special meeting on Thursday, Dec. 15. The negotiations were convened earlier this year by Governor John Hickenlooper and CDOT Executive Director Don Hunt in an effort to resolve a long-running conflict between neighboring jurisdictions. Golden Mayor Jacob Smith and City Manager Mike Bestor, who represented the City over months of negotiations, are recommending that City Council approve the agreement assuming the final details are consistent with our expectations. The City Council meeting will take place at 7 p.m. in the Council Chambers of City Hall, 911 10th Street, Golden. City Council encourages public testimony and comment, in person or in writing, prior to the Council vote. 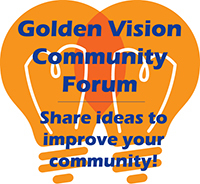 Comments can be emailed to citycouncil@cityofgolden.net. Under the agreement, construction on the proposed Jefferson Parkway would be permitted only after $57 million is secured to address traffic mitigation in Golden. In exchange for this commitment, Golden would agree to stop opposing the Jefferson Parkway and remove its competing application for right-of-way at the Rocky Flats Wildlife Refuge. More details will be posted to CityofGolden.net and GetTheFactsGolden.org as they become available before the City Council meeting. Golden citizens who want to receive emails with the latest information in the coming days should fill out the form on the homepage at GetTheFactsGolden.org. In February, the Golden City Council unanimously approved a motion to continue negotiations over the Jefferson Parkway. At that vote, the City Council considered comments from three hours of public testimony, an earlier series of four community meetings attended by a total of 470 people, and submitted through GetTheFactsGolden.org. The comments from the community meetings and GetTheFactsGolden.org will be provided to the City Council as part of their packets for the Dec. 15 meeting. “This is a good agreement to fund the transportation improvements and mitigation Golden needs to protect the interests of Golden citizens. We’re recommending that the City Council approve it,” said Golden City Manager Mike Bestor. * Note: This issue is changing very quickly. We will post all new information as soon as it is available. The other pages on this site can be used as a reference to the process we’ve gone through to get to where we are today. Provides assurance of the terms of the Agreement though CDOT. In summary, the Jefferson Parkway will be permitted to ‘move dirt’ only after the $57M for has been secured/committed for the mitigation projects in Golden; the Jefferson Parkway will not financially support any of Golden’s projects unless and until they have a concession for the project.